Art comes in such a wide variety of forms that it is only natural that we all have different opinions on what art is. It can be a stroke of paint down a canvas, a realistic 18th-century landscape, a contemporary dance or a vase made on a potters wheel - it can be anything. What you admire as something beautiful, is art. Wouldn't it be boring if we all loved the same things? The National Gallery of Australia is located in the Parliamentary Triangle and showcases the history of art in the Australian region, as well as artworks from Asia, the Pacific, America and Europe. If you like modern art in particular, it has Australia's biggest range of modern art on display from the mid-19th century to today. It is a venue that visitors travel to from all over the country to view their blockbuster exhibitions held throughout the year. These exhibitions are a unique opportunity to witness international works up close and take part in the events and talks held throughout the showing. See here for what's on this month. If you want to visit for a look around, entry is free and there are levels of exhibitions to simply wander around and appreciate. For lunch there is the impressive, high-ceilinged NGA Café to rest for awhile and also don't forget that the art continues outside in the Sculpture Garden next to Lake Burley Griffin - which includes Fog Sculpture by Fujiko Nakaya. Also out the front of the gallery is the Skyspace Within without 2010 by James Turrell. This gallery is a must for any art lover! See here for details and here for a full article. 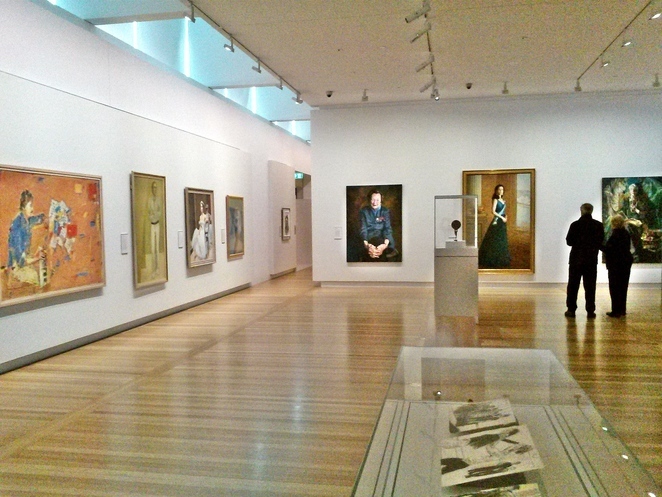 The National Portrait Gallery is also a "must-see" after exploring the National Gallery of Australia, as it is conveniently located across the road. This gallery is smaller, however equally as fascinating as you walk around the free exhibitions and marvel at the range of portraits, styles and characters through Australia's history. 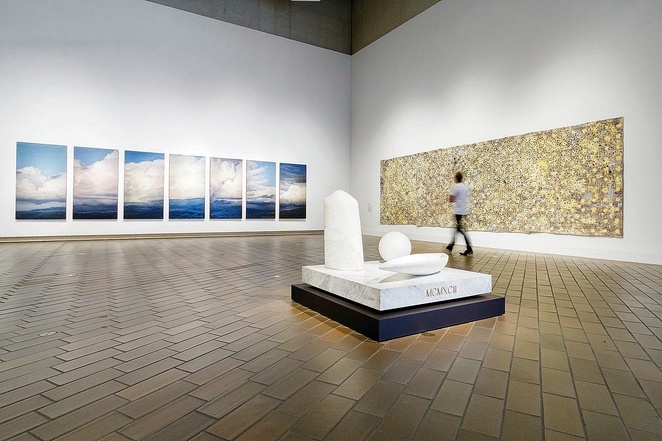 From historical paintings from the 1800's to contemporary artists of today, there is something for everyone to enjoy at this national art gallery. See here for details and here for a full article. Canberra Museum and Gallery (CMAG) is located in the city centre and showcases a visual history of art and society in the Canberra region. 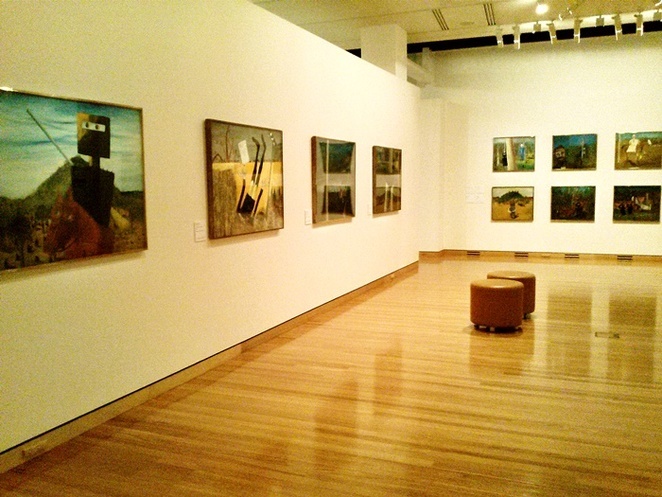 There is a wide range of changing art exhibitions, particularly of contemporary art, and they also have the Nolan Collection permanently on display by prominent artist Sir Sidney Nolan. See here for details and here for a full article. 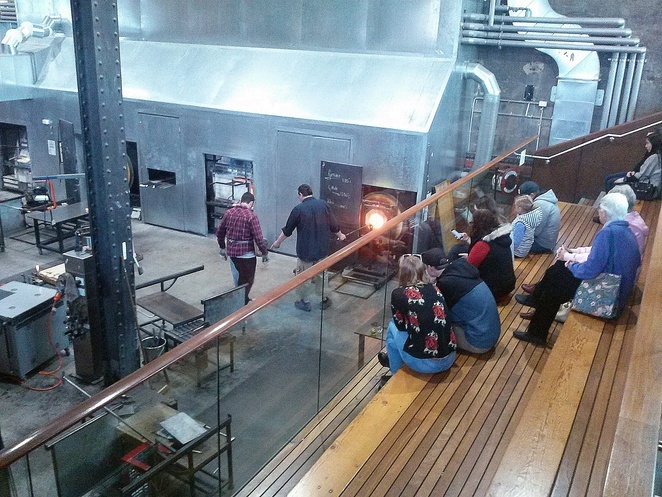 The Canberra Glassworks is a unique experience and working art studio, where visitors can watch professional glass artists at work in the Hot Shop. This isn't a traditional art gallery, more like an interactive space where you can watch the artists create right in front of you and also participate in a workshop to create your own glass masterpiece. This unique facility is used by some of the top glass artists from around the world and is an asset to the Australian glass art community. When you have finished watching the glass artworks being created, look downstairs in the shop and view, or buy, some of the glass that has been made by talented artists. See here for details and here for a full article. Bungendore Wood Works Gallery is located in Bungendore, 30 minutes from Canberra's city centre. For lovers of woodworking and sculpture, this gallery is a refreshing morning trip out of the city and into a local, historical town. 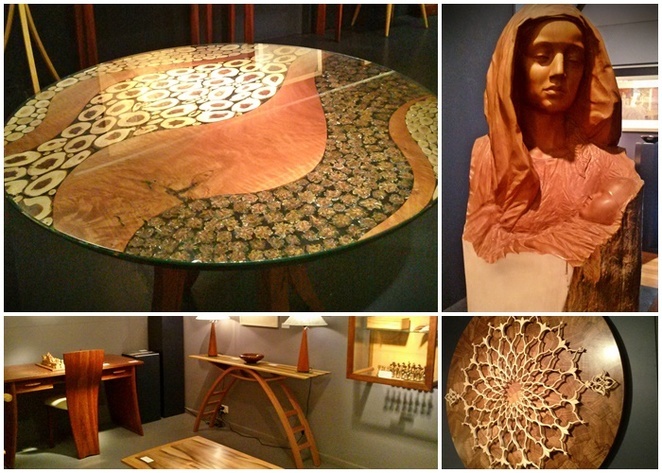 This gallery showcases work from local artists and others from further afield, who create sculptural wall hangings, free standing sculptures or furniture, using a variety of wood and techniques that make you wonder how they were made. If you fall in love with a particular piece, everything you see is for sale. As well as the wood on display, they also show exhibitions from local artists in their Octagon Art Space. See here for details and here for a full article. 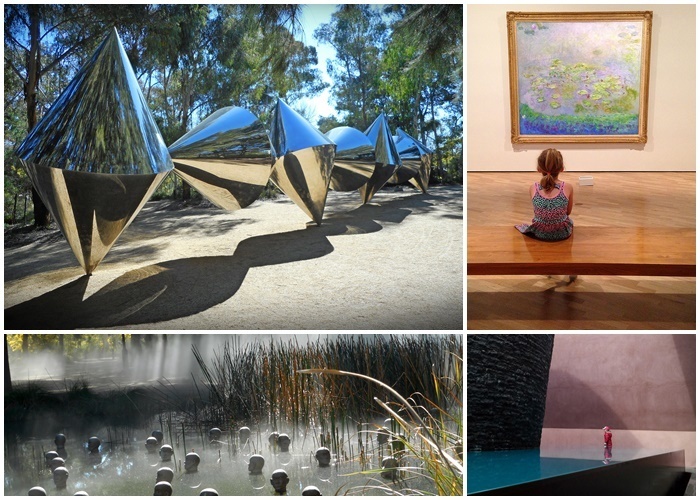 Canberra has more than 20 galleries dotted around the city, which include the Ainslie and Gormon Arts Centres, Nishi Gallery in the NewActon precinct, Beaver Galleries in Deakin, Burrunju Art Gallery by Lake Burley Griffin, Belconnen Arts Centre and Tuggeranong Arts Centre, to name just a few. All of these galleries are a fascinating insight into the different types of art and artists from around Canberra, Australia and the world. Which ones are your favourites? If you have one that you love to completely immerse yourself in, please leave a comment at the top of this article and explain why you love it so much. There are so many to choose from around the region - why don't you visit a new one this weekend?